Professional and friendly service to domestic and commercial clients. PV and Solar Thermal technologies to maximize your usage of renewable energy. We at South Eastern Solar offer a no hassle quotation, we use only skilled engineers and are very competitive on our prices. No hot water. Bad leak. Contact ASAP. Current PV System: 4Kw. Current Inverter: Mphase. Would like the battery to be installed in the garage. Install within 1 month. Contact between 12pm - 5pm. Solar thermal not working - control unit at fault. Contact 12pm to 5pm. Maintenance of an existing Solar Dynamic installation. ASAP. Contact: anytime. East/West facing roof. Pitched and tiled. No shading. No windows. Requires around 16 panels if possible. Install within 3 months. Contact anytime. Repair of a meter for existing Solar PV installation - Elster A100c . Contact between 5pm - 8pm. Contact anytime. 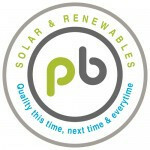 Solar PV. unsure which way Roof faces. Pitched and tiled. No shading. Timescale within 1 month. Contact anytime. Solar PV. Roof:South facing. Pitched and tiled. No shading. 3 windows on the roof. 4kWp system. Install within 3 months. Contact anytime. Appointments anytime. Solar PV. Roof: Not Sure. Pitched and tiled. No shading. No windows on the roof. 1kw or 2kw system. Install ASAP. Contact anytime. Appointments anytime. This is a small semi-detached house- two bedrooms. Side wall suitable for panel.